BEIJING – China’s statistics bureau said on Wednesday it has changed the way quarterly gross domestic product data is calculated, a move it calls a step to adopt international standards and improve the accuracy of Chinese numbers. There has long been widespread scepticism about the reliability of Chinese data, especially as the government has sought to tamp market expectations of a protracted slowdown in the world’s second-largest economy. The move by the National Bureau of Statistics (NBS) comes after China said in July its annual growth rate in the second quarter was 7.0 percent, the same as in January-March. Many economists believe the April-June pace was lower. The combined economic output of China’s provinces has long exceeded that of the national level compiled by the bureau, raising suspicion that some growth-obsessed local officials have cooked the books. Now, China is calculating GDP based on economic activity of each quarter to make the data “more accurate in measuring the seasonal economic activity and more sensitive in capturing information on short-term fluctuations”, the NBS said. 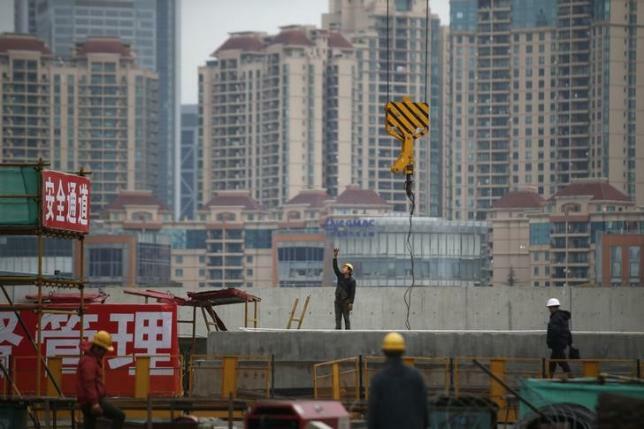 Previously, China’s quarterly GDP data, in terms of value and growth rates, was derived from cumulated figures rather than economic activity of that particular quarter, the bureau said. The new methodology – in line with that of major developed countries – will pave the way for China to adopt the International Monetary Fund’s Special Data Dissemination Standard (SDDS) in calculating GDP, it said. The bureau, which has revised some historical quarterly GDP figures for 2014 and prior years retrospectively, said it will publish third-quarter GDP data, due out on Oct. 19, based on the new methodology. The NBS has revised down year-on-year economic growth rates for every quarter last year by 0.1 percentage points, following its revision on Monday of the 2014 annual economic growth rate to 7.3 percent from 7.4 percent. The bureau has also revised down growth rates in the first two quarters of 2012 by 0.1 percentage points respectively and revised up the fourth quarter by 0.1 percentage points.